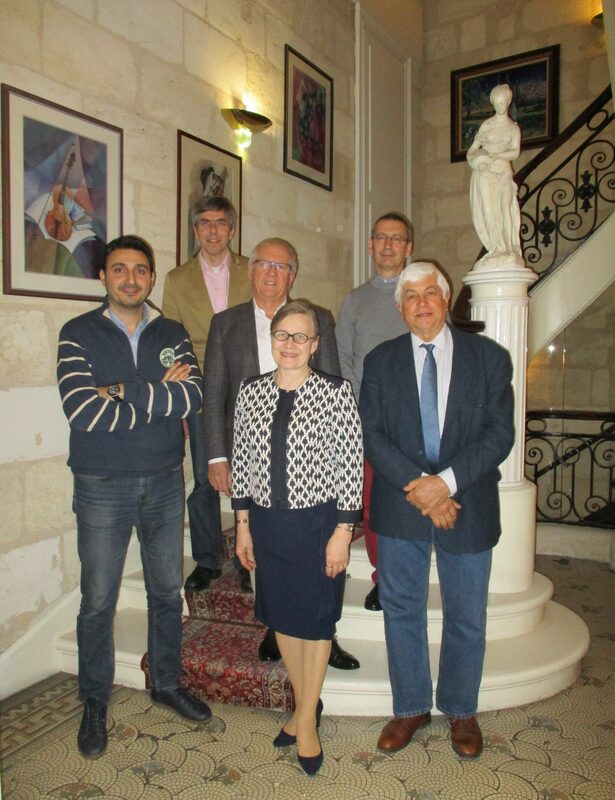 The DCE steering committee meeting was held on February 25, 2017, in Bordeaux, France. Participants were Santiago Luis (Chair, Spanish delegate), Willem de Lange (Secretary, Dutsch delegate), Sirpa Herve (Finnish delegate), Ioannis Katsoyiannis (Greek delegate), Antonio Marcomini (Italian delegate) and Philippe Garrigues (French delegate and host of the meeting). The subjects discussed in the meeting were mainly the interactions with EuChemS and the other divisions, the upcoming DCE conference in Oslo, (ICCE2017), the 2019 ICCE in Thessaloniki Greece. The further discussion was focused on the internal organization of the DCE, with issues such as funding and budget, divisional awards and society representatives.